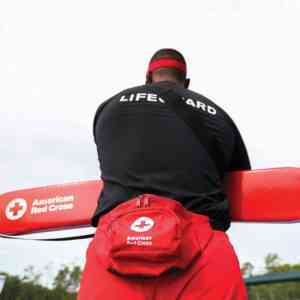 Through Red Cross training you will learn all of the skills needed to become a professional lifeguard. 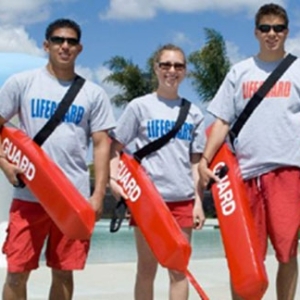 From First Aid and CPR/AED training to rescue and teamwork skills, the Red Cross has designed a lifeguarding course that effectively combines both written testing skills and comprehension along with valuable hands-on training. 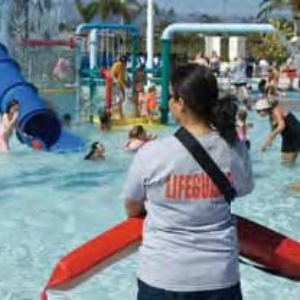 This American Red Cross course provides entry-level lifeguard participants with the knowledge and skills to prevent, recognize and respond to aquatic emergencies and provide care for breathing and cardiac emergencies, injuries and sudden illnesses until emergency medical services (EMS) personnel take over. Participants must be at least 15 years old before the last scheduled class session and pass a prerequisite skills evaluation. In-person course: Created for those who prefer a traditional learning environment, our in-person courses are led by one of our best-in-class instructors. Our in-person courses provide the time you need to learn, ask questions and understand the hands-on skills needed to become certified as a lifeguard. The total time commitment for the Lifeguarding course is approximately 25 hours and 20 minutes. Blended learning: Designed for those who need more flexibility, our blended learning option combines both in-person and online coursework for a total time commitment of approximately 19 hours and 30 minutes in-person and approximately 7 hours and 30 minutes of online work for the Lifeguarding course. ﻿This American Red Cross course is for individuals with a current Lifeguarding/First Aid/CPR/AED certificate to recertify and provides review, instruction and practice on knowledge points, surveillance and recognition, lifeguarding and emergency action plans as well as the chance to review and practice skills that are important for recertification. Lifeguards must take this course before their current certification expires. Once the certification is expired, they must take a full Lifeguarding course. The purpose of the Waterfront Skills module is to teach lifeguards the skills and knowledge needed to prevent and respond to emergencies in nonsurf, open-water areas found at public parks, resorts, summer camps and campgrounds. ​Candidates must have a current American Red Cross certificate for Lifeguarding/First Aid/CPR/AED. The purpose of the Waterpark Skills module is to teach lifeguards the skills and knowledge needed to prevent and respond to emergencies in aquatic facilities with waterpark features. ​Candidates must have a current American Red Cross certificate for Lifeguarding/First Aid/CPR/AED or Shallow Water Lifeguarding/First Aid/CPR/AED. ​A 2 year digital certification in Lifeguarding/First Aid/CPR/AED is issued upon successful completion.